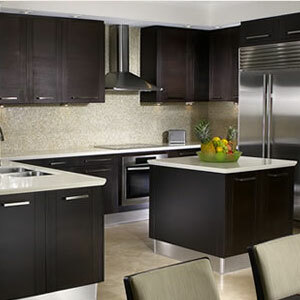 Bedrock Construction has specialized in Calgary kitchen renovations since 1991. We make it fun by reducing the time and stress on kitchen renovations in Calgary with our customer-centric and detail oriented process. Bedrock Construction has prided itself on superior quality while keeping the bottom line in tact. The Bedrock Way can all be attributed to our four core values and our overall enthusiasm for turning dreams into realities. We like to think outside the box with kitchen renovations in Calgary. Our space planners, interior designers as well as distributor shopping list ensure your experience is fun; your space is functional with your dinner parties lasting forever. Over 2o years in business has shown us what makes great kitchen renovations. It is more than the tangible end product, it is about being responsible to all parties involved. Our clean job sites show our degree of professionalism and organization. We believe in keeping neighbours happy as well as in the overall health and safety of our trades. Our experience is your experience and part of this is knowing that a high quality standard is important for kitchen renovations. We believe in being meticulous with a strong focus on the budget, schedule and the details. 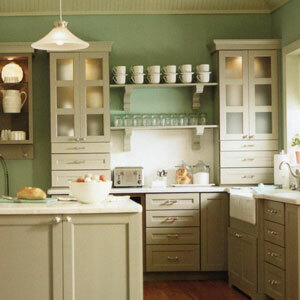 There are many moving parts to kitchen renovations which often involve multiple suppliers, various trades and an understanding of the complexities involved. Staying on top of the logistics and most importantly, staying organized, is key to successful kitchen renovations in Calgary.